Geneva, 30 June 2015: Within days of the release of Steven Spielberg’s blockbuster movie‘ Jaws’ in June 1975, CITES entered into force. “Today, bringing certain sharks, including the great white shark, under CITES trade controls is emblematic of the massive changes experienced since Jaws first terrified beach goers. We now realize that sharks have more to fear from us than we have to fear from them and CITES has been called upon to ensure that these magnificent animals are not over exploited through international trade” said John E. Scanlon, Secretary-General of CITES. 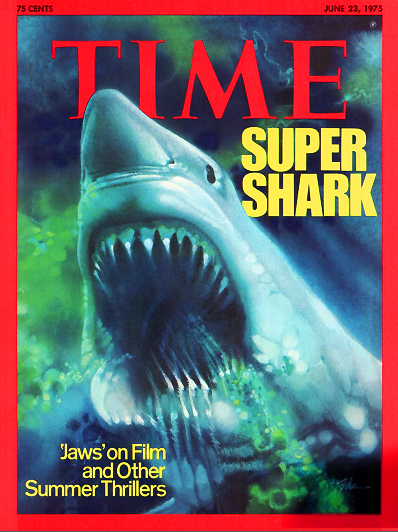 Jaws is said to have perpetuated negative stereotypes and public misunderstandings about the role of sharks and their behaviour. These perceptions are however changing, especially in light of the science on the unsustainable harvesting of some shark species that could drive them to extinction. 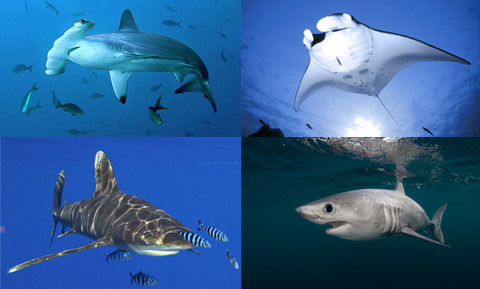 It is within this context of changing perceptions and better science that CITES has intervened to bring eight species of sharks under CITES trade controls, including five species being included under CITES in 2013, to ensure that any international trade in these species is legal, sustainable and traceable. A recent study on the management of shark fisheries mentions CITES as the only legally binding measure in place to date. a digital leaflet, containing the outcome summary of a recent study commissioned by CITES on the capacity assessment study conducted in of selected countries of Africa, Asia and Latin America. Species of sharks are but a few of the 35,000+ species of wild animals and plants listed under the Convention to ensure that international trade does not threaten their survival, recognizing the need to maintain a species throughout its range at a level consistent with its role in the ecosystem in which it occurs. A high level side event is taking place in Bonn at the 39th Session of the World Heritage Committee co-sponsored by Germany and the CITES Secretariat, together with the Convention on Migratory Species and World Conservation Society, on the threats posed by poaching and illegal trade in wildlife to World Heritage sites across Africa and the collaborative efforts that are underway to combat these serious crimes. These threats were highlighted by UNESCO Director-General Bokova and Secretary-General Scanlon in a joint oped published in June 2013. The side event follows decisions taken at the 38th Session of the World Heritage Committee that called for the World Heritage Centre to strengthen its cooperation with the CITES Secretariat. Note to editors: For more information, contact Liu Yuan at +41 22 917 8130 or [email protected]. With 181 Member States, CITES remains one of the world's most powerful tools for biodiversity conservation through the regulation of trade in wild fauna and flora. Thousands of species are internationally traded and used by people in their daily lives for food, housing, health care, ecotourism, cosmetics or fashion.